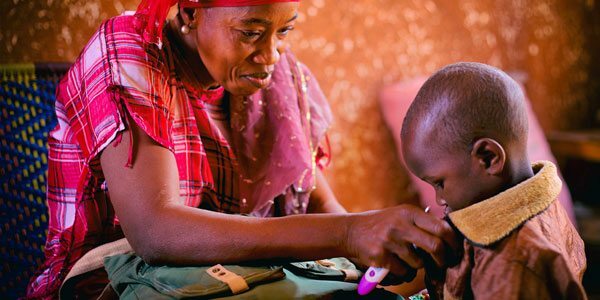 Woman-Based Outreach Eliminates High Child Mortality in Mali: What Can Your Nonprofit Learn? Sometimes our current models of community support can just be dead wrong: A nonprofit organization, supported by a network of philanthropists, has virtually reversed childhood mortality in Bamako, the capital of Mali, where the childhood mortality rate was among the highest in the world. With its innovative proactive healthcare approach, Muso, which means “woman” in the local language, empowers women and community leaders to eliminate disease in their communities before it spreads or worsens, saving children’s lives through rapid treatment of life-threatening illnesses. Muso recently published in the journal BMJ Global Health the results of a seven-year study of its implementation of its anti-poverty intervention, called the Muso Model. The study began in 2008 when one in seven children in Mali died before their fifth birthday. At the study’s end, the death rate was 1-in-142, the lowest in sub-Saharan Africa and better than the levels in some US states. Muso designed the strategy, which it implemented with the help of the Malian government, to train community health workers to go door-to-door seeking out and treating sick children rather than waiting for them to be brought to clinics. By treating children within the first signs of illness, workers improve their chances of recovery, particularly for the diseases deadliest among young children like pneumonia, malnutrition, diarrhea, and malaria. A contributing factor to this proactive approach of seeking out patients is that it takes the burden of identifying symptoms and taking the child to the clinic off the parents and family members, thus ensuring that the child receives expert care at the earliest signs of symptoms. This strategy of proactive community case management is a reversal from the previous trend of reactivity which leaves public health agencies unprepared for a crisis, like in the case of Zika and other rare diseases that only receive attention when they become problems. In response to the 2013-2016 West Africa Ebola outbreak, the World Health Organization created a Blueprint Plan for Action to reduce the lag time between the onset of an epidemic and when medical interventions can be made available. By prioritizing under-studied pathogens and potential threats, assessments can be made regarding a community’s resilience or susceptibility to an epidemic. Then, activities can be targeted to build community capacity where it is most needed. This sort of pre-emptive and proactive approach is relatively new to healthcare and international development, which is often viewed now as reacting to illness rather than promoting wellness. The development of collaborative and coordinated public health interventions is part of what has made Muso’s strategy successful. What has perhaps made an even greater difference is the inclusion of members of the community who were trained as health workers. They went to their neighbors, to people who knew them and spoke their language and trusted them. Employing local staff who can integrate strategies long after an aid agency has left turns short-term interventions into long-term solutions. Interventions comprised of locals build the capacity of individuals in those communities by giving them good jobs and reduces dependence on foreign aid.